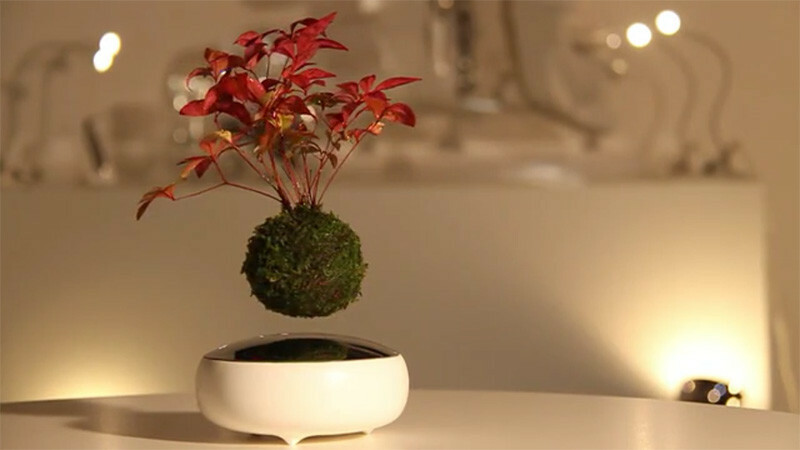 Japanese designers at The Hoshinchu Team, have created a bonsai named “Air Bonsai”, that appears to magically float above its base. 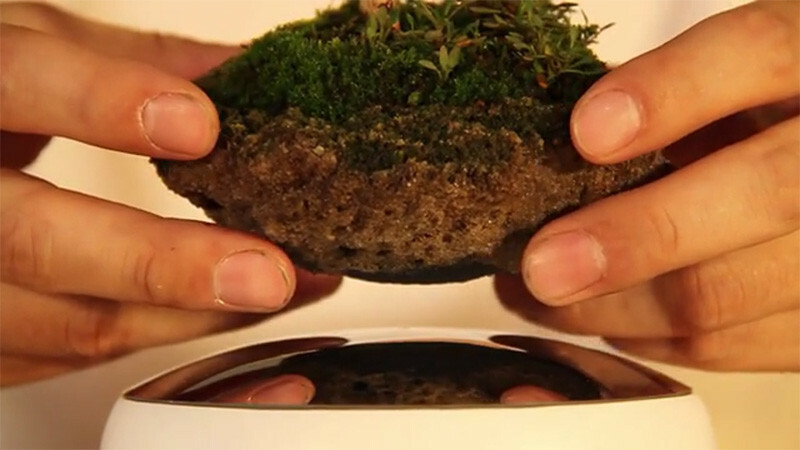 Made from a handcrafted Japanese porcelain, the base or bottom half is “energy base”, with the floating ball being the top half or “little star.” The do-it-yourself kit, allows you to transplant your favorite plant onto the “little star”, and then you simply place it above the “energy base”. 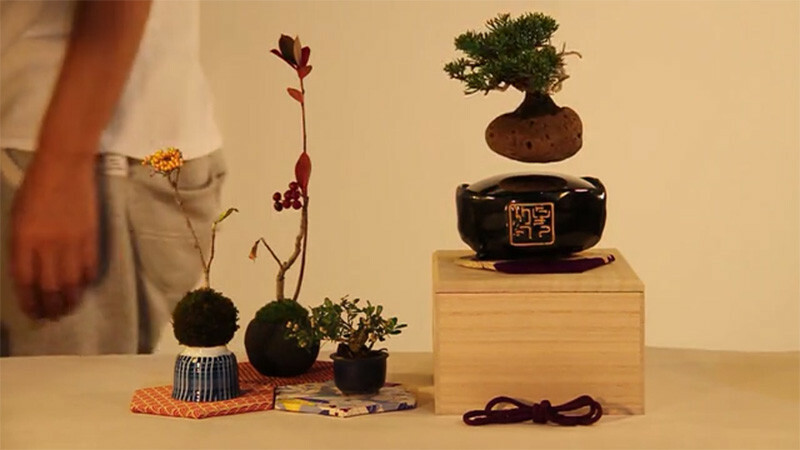 Both halves of the Air Bonsai, have magnets installed within the design, that allow the top half to float and spin without being tethered to the base.